Down to their final five outs, the Falcons saw time running out on a remarkable season. Salina had one more incredible finish left. 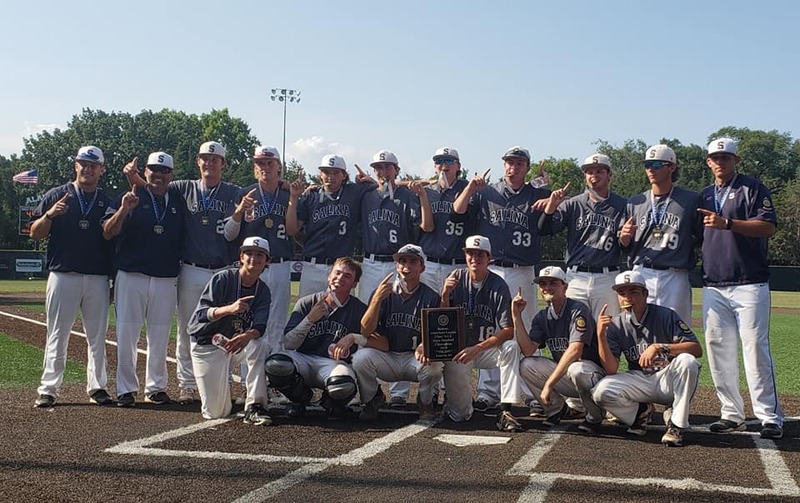 The Falcons plated four runs in the top of the sixth, reliever Seth Catania held the bats silent, and Salina completed the comeback for a 5-3 victory over Nickerson, claiming its first Class AAA state championship since 2007. Nickerson put pressure on the two-loss Falcons in the first inning, scoring three. Salina aided Nickerson as two of the three runs were off an error and a balk. 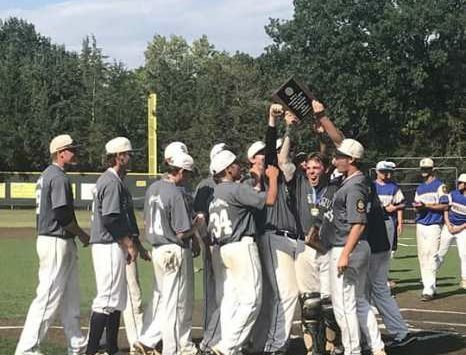 Salina’s offense finally broke the silence in the third when third baseman Cason Long singled in outfielder Layne Haddock to cut the deficit to 3-1. After a strikeout to start the sixth, Brayden Pavey drew a walk. Outfielder Ben Driver then popped up to center, threatening to end the frame with no runs. Outfielder Zach Farmer kept the charge going, recording a single. Haddock brought in Pavey with a RBI knock and second baseman Brogen Richardson tied the game with a single. First baseman Ethan Kickhaefer put the finishing touches on the end with a two-RBI double to give Salina a two-run cushion. Catania shut the door on Nickerson, getting the last six batters out. Catania allowed just two hits in four innings of work. The Falcons (33-2) advance to a best-of-three playoff series against Class AA winner Iola on Wednesday in Iola. The winner qualifies for the Midwest Regional tournament next month in New Orleans. Emporia was one of two teams to take down Salina in the regular season. The Falcons made sure Emporia wouldn’t do it again, plating four runs in the first five frames. Zach Farmer was 2-for-3 with two RBI. Brogen Richardson, Ethan Kickhaefer and Ben Driver all drove in a run. Kickhaefer went the distance on the mound, giving up seven hits while striking out six.